Well before the United Nations Group of Experts released its interim report on the current situation in the Democratic Republic of the Congo on June 21, it had created a massive stir. Details of the investigation had been leaked, revealing that evidence had been found linking the Rwandan government to the infamous March 23 Movement, or M23. M23 refers to the group of several hundred Congolese soldiers who defected from the Congolese army, or FARDC, in early April after President Joseph Kabila voiced his intentions to hand over General Bosco Ntaganda to the International Criminal Court. If the allegations are found true, Rwandan sponsorship of M23 could have serious implications on the stability of the region. 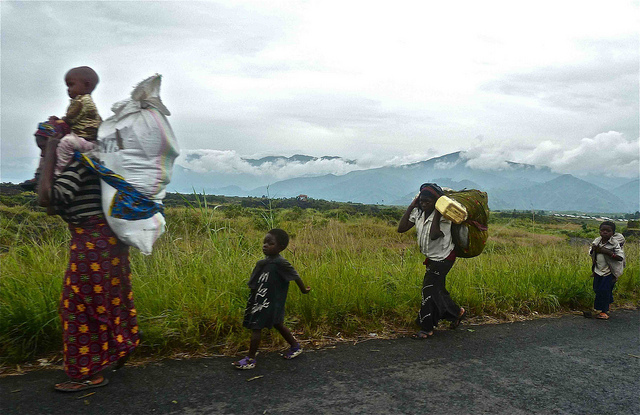 In recent weeks, clashes between Congolese forces and M23 have resulted in mass amounts of violence against the civilian population and have led to an influx of approximately 200,000 Congolese refugees fleeing into neighboring countries. The Rwandan government has been suspected of supporting rebel groups within the Congo for some time now. In early June, Human Rights Watch made a public statement claiming that Rwandan military officials had become directly involved in supplying M23 with weapons, ammunition, and up to 300 new recruits. Many of these recruits were reported to have been forcibly conscripted and trained in Rwanda and then sent across the border to fight against the Congolese army. Human Rights Watch has also stated that a number of these new recruits were under the age of 18, suggesting that the Rwandan government may have been involved in the forced recruitment of child soldiers. Many of these accusations were further supported in the findings of this most recent U.N. report. The Rwandan government was quick to issue statements against the charges made in the U.N. report and warn that these claims could harm the peace and security of the region. President Kagame held a press conference on June 19 stating that instability in the Congo had “nothing to do with Rwanda.” Kagame noted that the Rwandan government has consistently been blamed for Congo’s internal problems. Likewise, Rwandan Foreign Minister Louise Mushikiwabo echoed the words of President Kagame during a press conference at the U.N. headquarters in New York on Monday. Mushikiwabo condemned the “disingenuous claims” by stating that Rwanda was being used as a “scapegoat for its former enemy's problems.” She went on to state that, “Rwanda would not participate in any destabilizing act in the region and in eastern DRC in particular.” Although she had yet to review the full report, Mushikiwabo dismissed the notion that a potential “bombshell” of evidence was hidden in the annex of the U.N. report. As this story continues to unfold, the Enough Project strongly urges the immediate release of the U.N. report annex. Without access to the full report, the international community is unable to address the severe humanitarian crisis currently underway in the Congo. Furthermore, “if these continued allegations are conclusively proven true, it means that beyond the brazen breach of Congolese national sovereignty, Rwanda is also in violation of several international laws and agreements,” stated Enough’s Aaron Hall in a recently released policy report. These violations include “the U.N. arms embargo on Congo, the crime of aggression through fomenting conflict in a neighboring country, pillaging of natural resources, and the forced recruitment of child soldiers.” It is imperative that all members of the international community cooperate in order to address these allegations and continue to work towards peace and stability in the Great Lakes region. Correction: An earlier version of this post noted that the rebellion began in late March.